Forklift Assassins are a dirty, heavy rock three piece hailing from Melbourne Victoria. The band is made up of Richie on guitar, Shane “The Beast” on bass and Mike on drums and vox and with influences like Dead Kennedy’s, Black Sabbath, The Ramones, The Misfits and the mighty Motorhead (RIP Lemmy), you know you’re in for a rip-roaring good time. 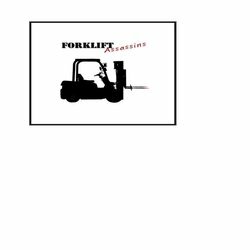 With members cutting their teeth for years on the local Melbourne pub scene, you know the Forklift Assassins will give you a blindingly good show with blood, sweat and beers. These guys love playing live and you’ll love watching them do it. Come see the Forklift Assassins and let them melt your face off. Dynamite is about being a loser when you think you're a winner. Probably as close to pop as Forklift Assassins get. Bloods - No Fun Ft Girls Rock!